Beth, the ‘best and brightest’ that this party can field has become more and more surreal over the years. Where’s Dwight Eisenhower when his party needs him? The Republican party swallowed their pride and their “principles” and nominated Romney because, as proven by the primaries, he was the only one left standing. Four years ago, the party nominated John McCain who was offered an early release from a North Vietnamese prisoner of war camp because he was the son and grandson of admirals in the US navy. McCain knew the enemy wanted to use him as a propaganda tool and he refused. The honor code of the prisoners was first captured, first released. 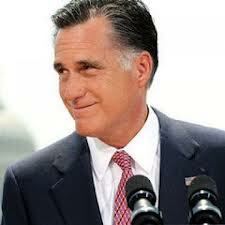 Romney “served his country” by working as a Mormon missionary in France. In what alternate universe can that be considered serving your country? As to Romney’s honor code, there is no such thing. The Republicans are so desperate to win that they hold their noses and buy the eletion. The Koch brothers aren’t the only masters of the universe who have threatened their employees with loss of jobs if Romney doesn’t win. The freedom to vote one’s conscience has been eradicated by people who have no conscience. How, why are people actually going to vote for this man? The president disavows this theory, but if Obama were white, would anyone vote for Romney? The man is repellant. He doesn’t smile; he smirks. He thinks the middle class exists to serve his ego and he doesn’t think about the workin class at all. I just wish we could find someone decent to run the country. It’s a sad state of affairs. due to their slowness, they are doing not deplete a lot power.They go lengthier amounts of time with out meals and drinking water. their life. The Galapagos large tortoise eats merely a vegetarian diet plan. Complete of greens and freed from body fat and cholesterol. Once they hibernate their respiration and heartbeat goes gradually.They go right into a deep rest.Research display this perhaps an additional purpose why they reside so lengthy. tortoises possess a difficult shell to guard them. Tortoise are great at staying away from their predators. to be weak like people as well as other animals.